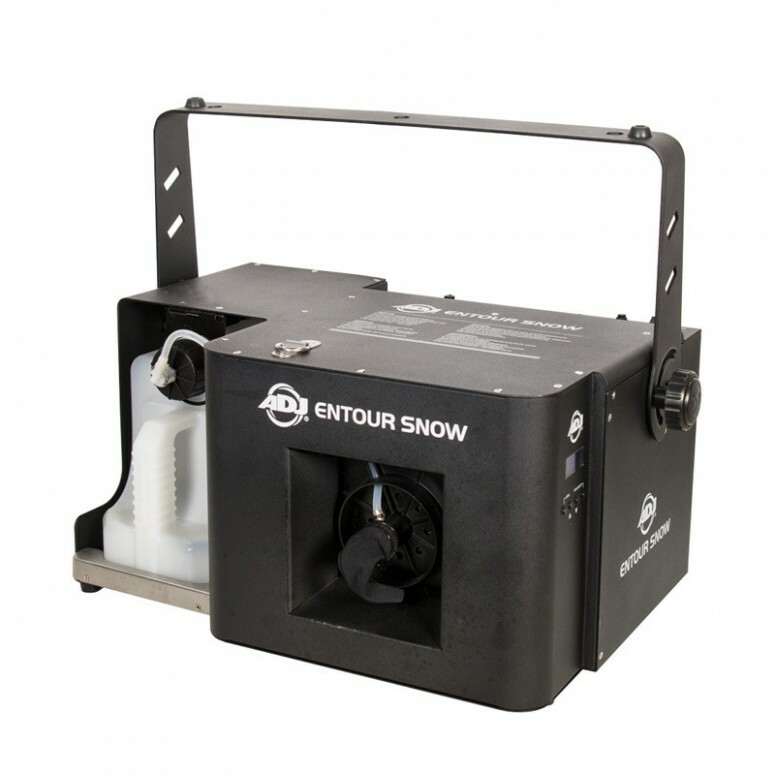 Part of the ADJ Entour Series of atmospherics, the Entour Snow is a high-output snow machine designed for professional installation and touring applications. 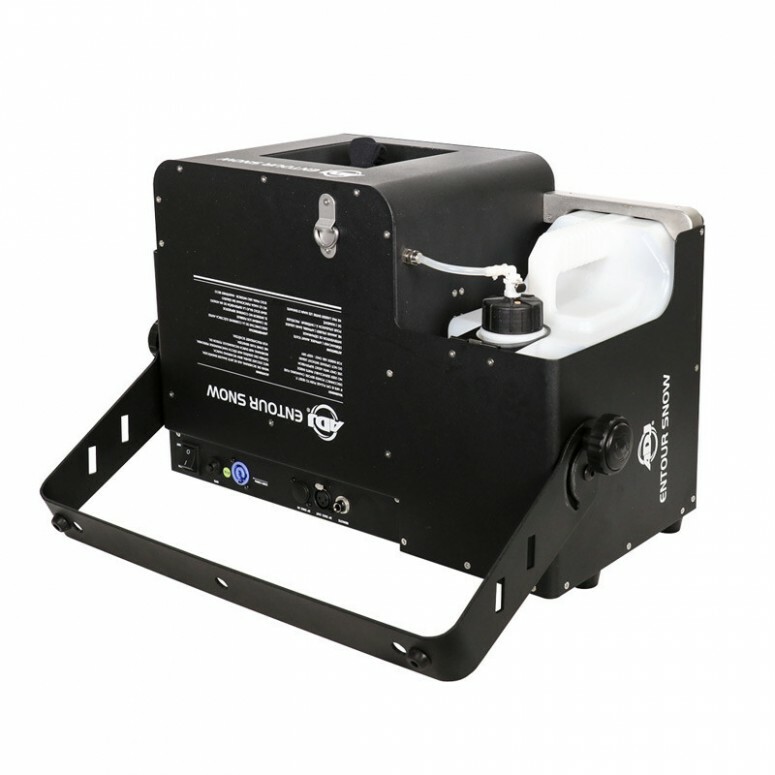 Part of the ADJ Entour Series of atmospherics, the Entour Snow is a high-output snow machine designed for professional installation and touring applications. The machine is capable of projecting imitation snow upwards to a distance of up to 10m and outwards across a distance of up to 12m, making this unit ideal for large venues and stage productions. 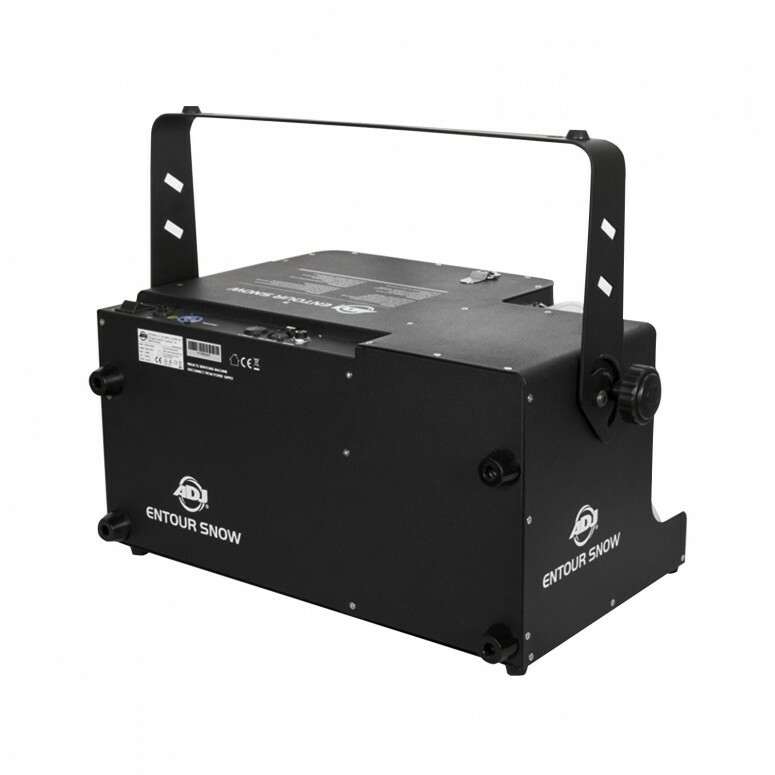 The flexible machine offers variable output, with the fan running at 50% or 100%, as well as an inbuilt timer and both 3-pin and 5-pin XLR sockets for DMX control. 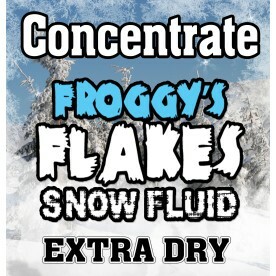 A ¼-inch jack socket is also provided for use with an optional remote control and a locking PowerCon input socket provides the unit’s mains supply.